About ten years ago (only ten years ago!) I used to get frustrated with my children because they kept sending messages to me on my cell phone. All of my other communication I received on my Blackberry. While I understood that my children were a little young to be sending emails ... and they would need to have an email address and be seated in front of their computer ... this “texting” via their cell phones was really a pain. In order to respond, I needed to push various buttons multiple times to spell out different words. I thought this was just some trend and would soon go away. So, of course, my children began using an iPhone well before I did. Once I received my first iPhone I began to change my attitude about texting. In fact, today the primary way to connect with my children is via text. And it’s rather nice. Since college students don’t really want to call their mother every night, they are willing to respond to a text ... so I know they are alive ... and on various occasions they will actually call me. Although they prefer to Facetime. The only rule was that they couldn’t just text on Mother’s Day. Ten years ago we would never have predicted that financial advisors would be communicating with their clients via text. 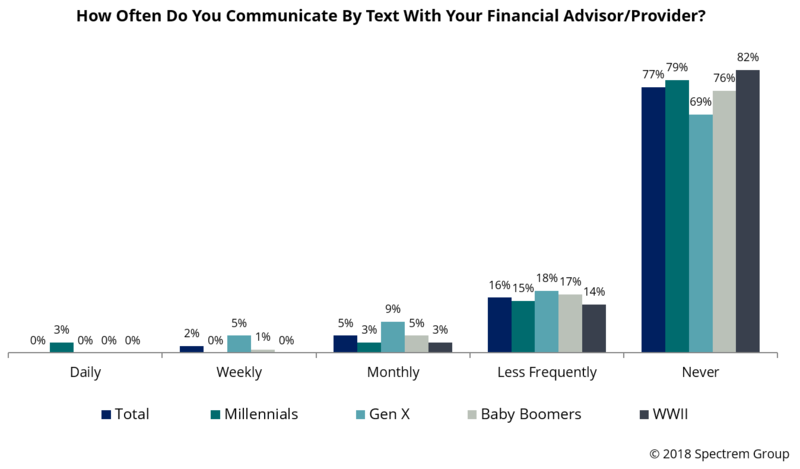 And in fact, most individuals do not communicate with their advisors via text ... but many would like to in the future. In recent research conducted with investors, Spectrem found that 77 percent of investors have not yet communicated with their advisor via text but 24 percent do communicate with their advisor in this manner. It’s also interesting note that of the investors who have texted with their advisor, 17 percent were over the age of 71. Thus texting is not a communication only for the young. One of the reasons that texting with advisors is still at a relatively low number is because some of the regulatory concerns advisory firms may have with texting. In fact, 22 percent of investors said that their advisor had talked to them about the potent regulatory restrictions that apply to texting. Many firms have currently put in systems and procedures that allow for advisors to text so it is likely to become more common in the future. Communication methods change frequently. 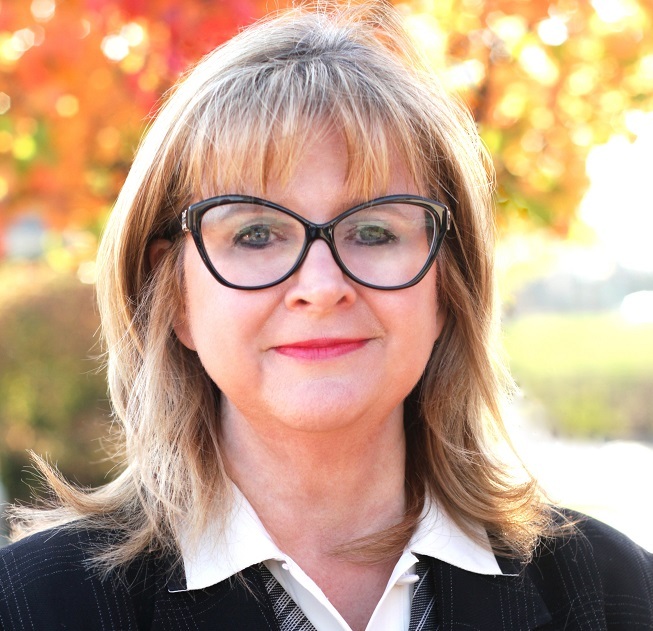 It’s important for advisors to discuss with their clients if they feel comfortable communicating by text and if so, to explain some of the restrictions the advisor might have about texting. At the same time, texting clients may become more common, especially during times of market volatility as advisors seek to find ways to quickly provide fact-based calming information to clients. Texting isn’t really that old. But it has become one of the most common ways to communicate. Therefore, it’s time for advisors to figure out how it fits within their practice.